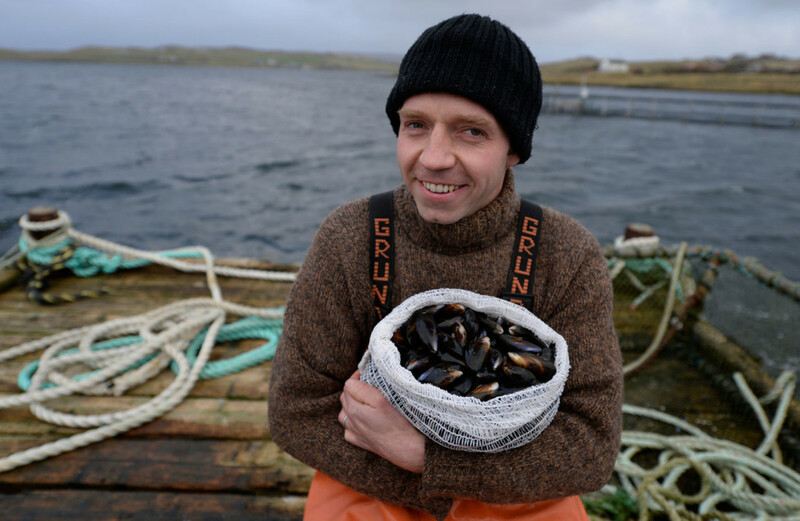 Scottish Shellfish are the UK’s leading supplier of rope-grown mussels and cultivated Pacific oysters. 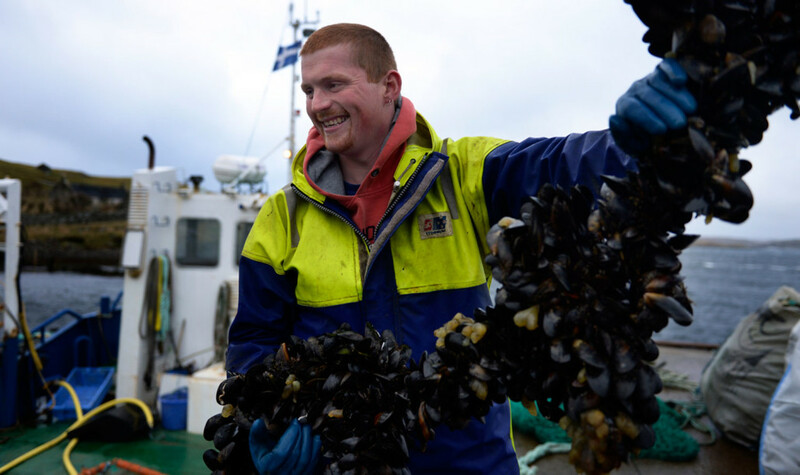 Our farmers produce mussels and oysters of the highest quality in the pristine seas of the West coast of Scotland and the Shetland Isles. Our mussels are grown on ropes hanging in the sea, ensuring they are succulent and sweet tasting. Mussels and oysters are the ultimate fast food – easy to prepare in the kitchen, incredibly tasty and healthy to eat too! We believe the quality of our mussels and oysters lies in the passion our farmers have for shellfish farming and the real care and pride they take during the cultivation process. We are a co-operative, so our farmers are involved in every part of the business. In recent years we have also diversified our product portfolio to include other delicious shellfish such as wild-caught lobster and crab. 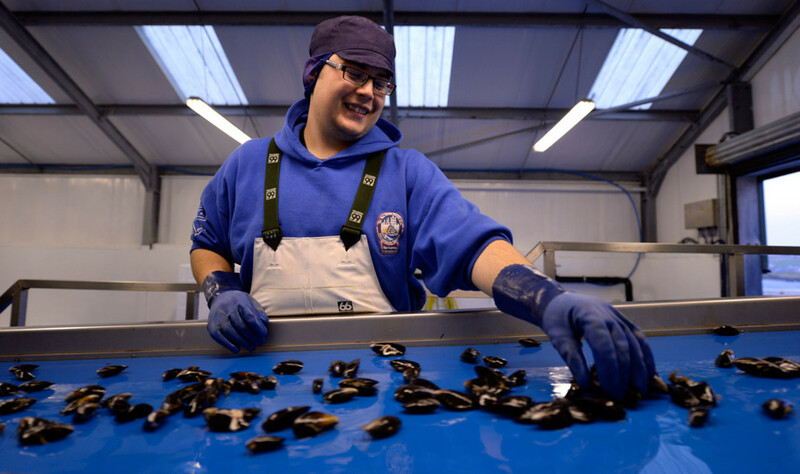 Our shellfish is processed at a state-of-the-art facility in central Scotland where they are either prepared as fresh products or made into a superb range of ready meal dishes for sale in supermarkets and other retail outlets. Finalist at Quality Food Awards for Scottish Cooked Mussels in Garlic Butter Sauce and Mini Coquille St Jacques. Gold Winner at The Grocer Own Label Food & Drink Awards 2014 for Deluxe Mussel & Smoked Salmon Chowder. Finalist at The Grocer Own Label Food & Drink Awards 2014 Deluxe Scottish Rope Grown Mussels in Chorizo Sauce. Winner of the Outstanding Contribution to the Industry Award at Scottish Marine Aquaculture Awards 2013 - Stephen Cameron, managing director of SSMG. Finalist at the Grocer Own Label Food & Drink Awards for Scottish Cooked Mussels in Garlic Butter Sauce.